I am on record as musing that there will be no more nukes built in the UK - including, just to make it interesting, Hinkley Point C. News that Moorside has fallen by the way (*until someone else steps into Toshiba's shoes*, yeah, right) is clearly grist to that mill. However, the government's arithmetic on electrification of just about everything forces them down the nuclear road. So all attention will now be on what they will come up with for the remaining "prospects" (Wylfa, Sizewell, Bradwell) by way of a financial package. The counter to my negative hypothesis is of course that with enough government money you can indeed suspend the laws of gravity - for a time. But one has to suppose the developers will insist it is up-front money next time. Which brings us back to Hinkley. EDF has certainly been beavering away - the civil engineering is moving along purposefully. But, famously, although the French screwed a handsome electricity price out of George Osborne, they don't get to trouser it until the beast is up and running. 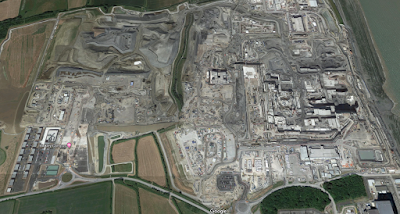 And never mind all that dredging, earthmoving and concrete: construction of the Hinkley reactors is nowhere near being started. In short, the sunk costs of Hinkley, whilst by now probably a couple of billion (they'd sunk nearly one billion before they started any work at all) would not be ruinous for EDF if they decided it wasn't worth the candle. Obviously, Plan B would be to steam round to our resolute Prime Minister and demand some cash, threatening that Plan C would be to walk away: seeing how *helpful* she was back in 2016, when Hollande wagged his finger at her. Still, it's not clear this would succeed a second time, not least because unless they get motoring, the chance to browbeat May could disappear forever. I think it's a bit tragic when articles (such as the first link above) infer that renewables are a magic bullet to everything. look at page 103 Can we live on renewables. To summarise average energy consumption per capita in the UK on all activities is 195kWh/day. maximum theoretical (and i must stress theoretical) supply from all renewables is 180kWh/day assuming that all economic considerations are thrown to the wind. It then proceeds to say that after the "public consultation" a more realistic renewable supply figure is 18kWh/day/person. So No. We cant just live on renewables. Just curious: how is it possible to spend £1 billion before even breaking ground? Where the hell does that money go? Gridbot: 195 kwh/day is a peak value, the average is about half that (and has been constant for about 100 years). So renewables + storage matches supply and demand. In any case, it is always possible to import power from sunny and/or windy countries. The answer to whether renewables are feasible for all our energy needs lies in finding suitable ways of storing energy so we have some when the wind isn't blowing and the sun isn't shining. There is some good work being done here with eg redox flow "batteries"/storage solutions using vanadium. 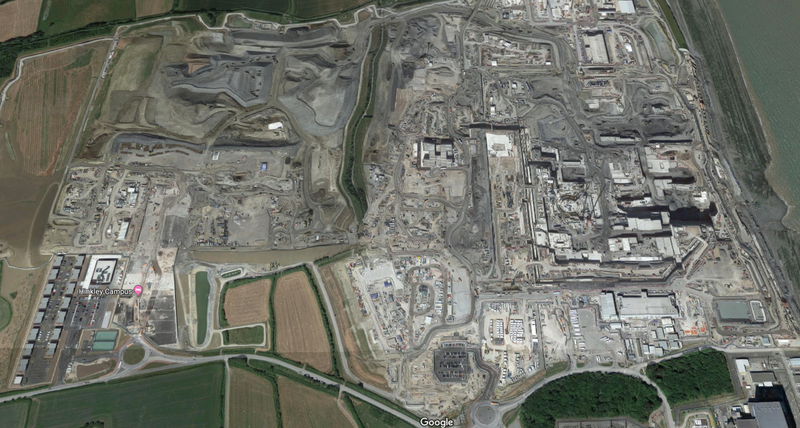 When I was a nipper, every town was just getting around to demolishing its gas / power plant in favour of the big grids. Town gas, it was called; coal gas, made from coal. Hydrogen 50%, Methane 35%, Carbon monoxide 10%, Ethylene 5%. Plus useful by-products. I've asked before, but with thousands of years of coal reserves, why aren't we making coal gas? Hydrogen for internal combustion engines, methane for power. And the technology is so easy the capital cost would be low and delivery rapid. @Raedwald, The question is: Who will dig/mine it? We can't go back to mining as it was. No one is going hundrreds of feet underground with a pickaxe. So we would need to develop robots to do that? Silly question why not make new Magnox, rather than spending a fortune on a new design? GridBot - your list seems perfectly fair, pending a technology breakthrough we can only guess at. But I'd add batteries - not the current technology (& certainly not bloody Tesla), but there is loads of work going on towards something genuinely viable, which you have to think will play a role. Hydro merits a shout-out, too (including pump storage) - although of course we are geographically /geologically limited in the UK. Personally I would have liked more encouragement for the very latest "ultra-supercritical" coal-burning tech, but it ain't gonna happen. 3 - for base load, fracking our own gas cleanly is the way forward. The UK is one of the few countries that could actually move towards energy self-sufficiency once batteries and storage our sorted out in 20 years or so. When you think of the timeline of kit for energy, that is really no time at all. Govt subsidies available for all of the above so everyone can keep troughing on. What I really want to see is some entrepreneurs fleece the Govt for carbon capture from the air - the best way ever to rinse liberals and lefties of the guilt. It will make the catholic church look like amateurs. "I'd add batteries - not the current technology (& certainly not bloody Tesla), but there is loads of work going on towards something genuinely viable, which you have to think will play a role." Any tips for budding capitalists to invest in? So for something really strategic & useful we are waiting for better tech, and modified system rules. Both will come. We did some work for a company which was developing a Pumped Heat Energy Storage system. Claimed energy recovery was something around 95%. Alas they seemed to have gone bump most likely after all the subsidies dried up, however there still seems to be a fair amount of research still being carried on in that area. I still think that until some sort of game changer comes along, things will remain pretty much as they are.